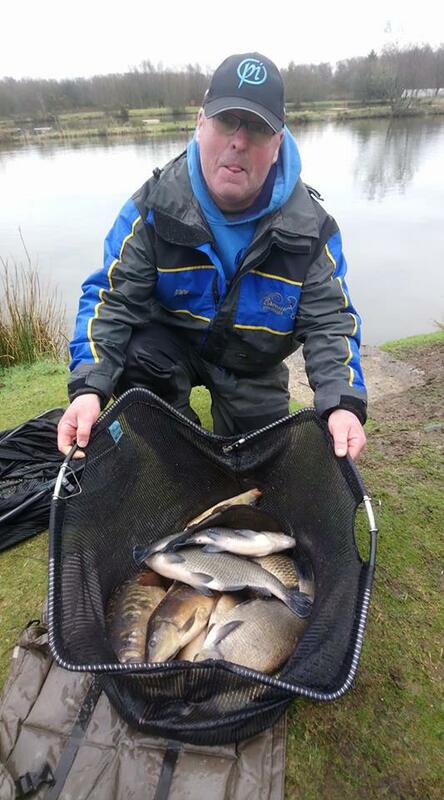 The match was fished on two waters with two sections on each lake. A dry and overcast day today with a few showers during the last hour of the match. A strange wind today, Northeasterly, then swinging into a southeasterly with a few gusts of 15mph. A funny old day today, with a huge change in the air pressure which affected the feeding habits of the fish quite a bit with very few carp caught. 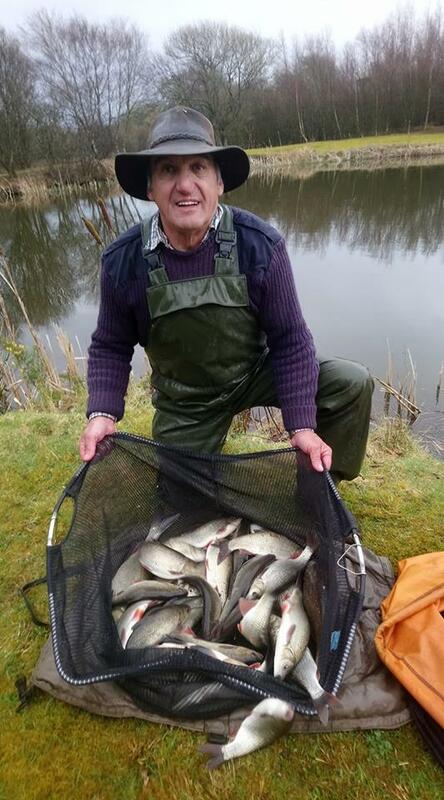 On Queensberry Water David Corcoran put a nice net of silvers together on peg 23, which included ide, chub and skimmers to weigh in 36lbs 12oz, winning his section and the overall match. 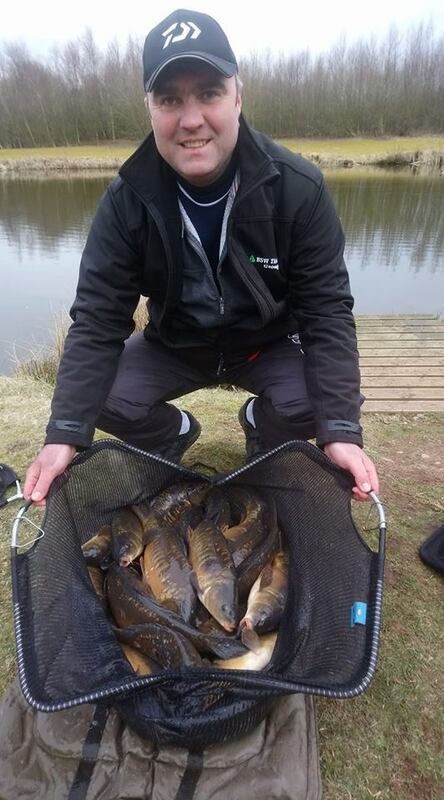 Section 1 was a lot closer, with Colin Hart netting a last gasp fish at the ” all – out” to narrowly win the section with 34lbs 2oz, a nice mix of silvers and F1 Carp, followed closely behind by John Williamson (. 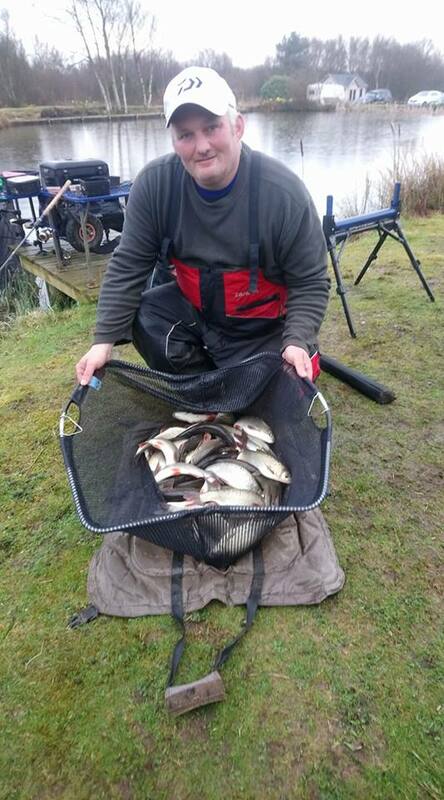 33lb 6oz ) and James Carlton (. 32lb.)…. Not a lot in it..! Wallace Lake was a right old struggle today, with the ide and skimmers very close to spawning, and the Carp just not feeding at all on a water usually dominated by carp and end pegs. 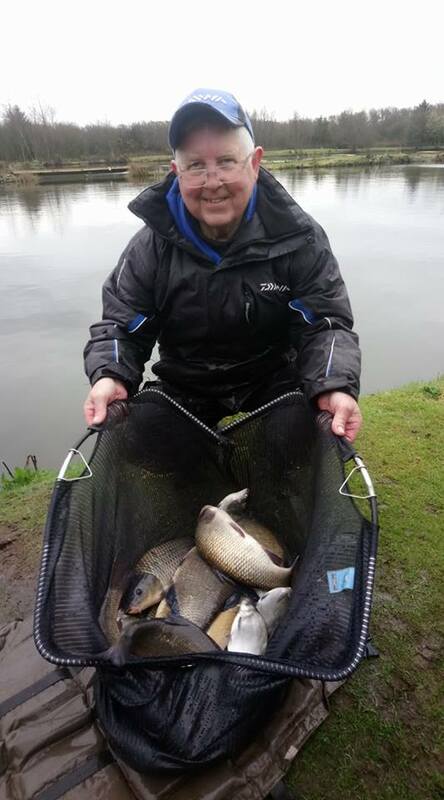 In section 2 Dave Walker stuck to the task by fishing for silvers on the pole, not expecting to do much with Ian Whitson on end peg 47. 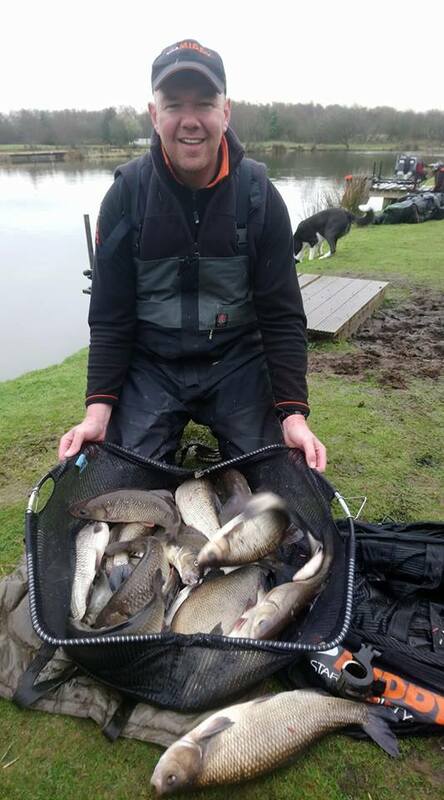 Unbeknown to Dave, the Carp had other ideas today and he plodded away to win the section with some nice skimmers, a big ide and a few smaller ones for 26lbs 11oz, with Ian on the end peg failing to hook a carp all day. 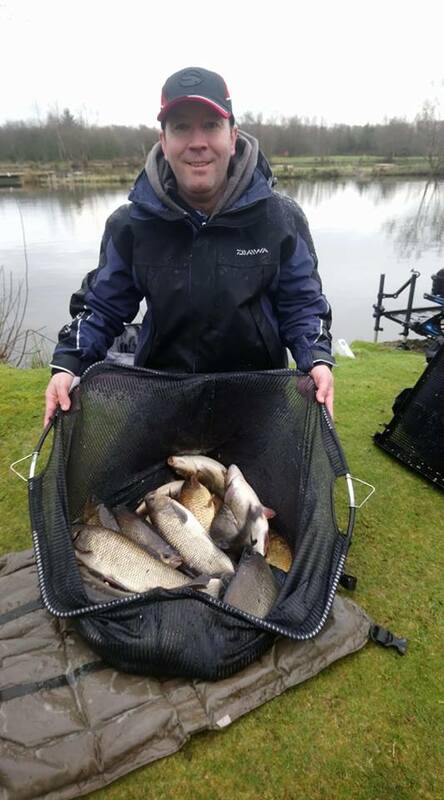 Section 1 was no different, and everyone thought they’d be fishing for 2nd place with Geoffrey Brough drawing the, ” in – form” peg 32. Geoff only managed one carp which definitely suggested something was up today with them crashing around all over the place but just not interested in feeding. There’s no doubt they definitely sense when there’s a change in pressure.